​Open daily Mon-Sat 8.30am-5pm; Bistro open Fri & Sat 6pm-9pm. Fully licensed 9am-9pm. Excellent range of delicious locally-sourced products and home-cooked food. 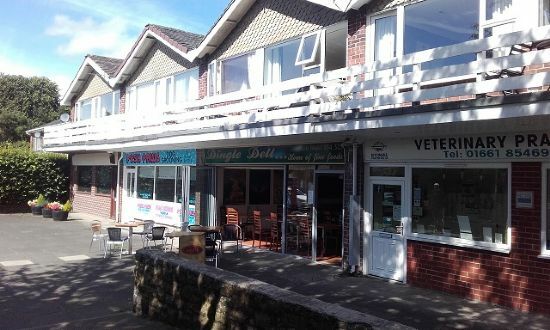 Breakfasts, sandwiches, light bites, children's menu, specials, quiches, scones, cream teas, buffets and take-out food. Practitioners offering - Thai Massage : Indian Head Massage : Hot Stone Massage : Therapeutic Massage : Sports Massage : Injuries (sports & Occupational) : Shiatsu : Reflexology : Reiki : Swedish Body Massage : Hypnotherapy & NLP : La Stone Therapy : Sensitivity Testing. Please ring for more information and to make an appointment. One of the region's leading veterinary practices, offering the best in animal care. Full grooms; puppy packages; bath & brush out; nail clipping; toys & treats; collars & leads; clothing & accessories; special offers! A quiet, calm, enjoyable environment for your beloved pet. City & Guilds trained staff, experienced animal care, canine first aid, fully insured. Opening Hours: Tues, Wed, Fri 9.30am - 5.00pm, Thurs 9.30am - 7.30pm; Sat 9.30am - 2.00pm. Day nursery (private), open all year. Mon-Fri 7.30am - 6.00pm. For all your gardening needs. Family run since 1921. Petrol Station; Post Office Services; National Lottery; Off Licence; Cash Machine; Electronic Top-ups; Groceries; News & Magazines, Animal Feeds. A rural retreat for pets that has been established now for 24 years. Based on a farm set in a beautiful countryside location, we offer boarding to loved ones of all shapes and sizes while you’re away on your holiday. We’ll take care of any special needs and diets and provide plenty of exercise, love and attention. Every Tuesday - Quiz Night 9pm; Every Friday - Beer Draw 9pm; Regular Live Music and Events; Live Sports including Sky Sports & BT Sports. A specialist equestrian and country store stocking everything for the horse, rider, dog, dog walker and country home from favourite brands including LeMieux, Horseware, Hunter and Joules. Opening hours: Monday - Saturday: 9am-5pm. Sunday: 10am-4pm.